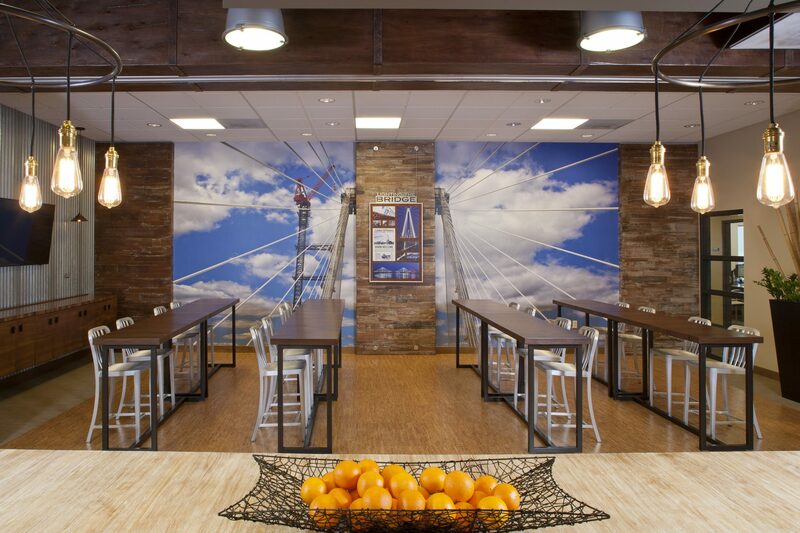 Awarded one of the Top Workplaces in 2016 by the St. Louis Post Dispatch, this electrical contractor’s workplace is not your “typical” looking office. The CEO treats his employees like family and desired a café and a conference room that felt like “home” – a place to gather around the table at the beginning or end of a long day, a place to collaborate and include their peeps from around the country that might be out on remote job sites and a place to celebrate their accomplishments. The redesign of their “Main Feeder”, the name of their main café and the creation of a conference room named “Louie”, in homage to the company’s Founder, helped bring that residential comfortable feeling into their office. The centerpiece of the “Main Feeder” is the large long wood island – it was the single most important request from the CEO as he wanted a place that was warm, inviting and could gather as many folks as possible – feeling like you were at an old farm table. 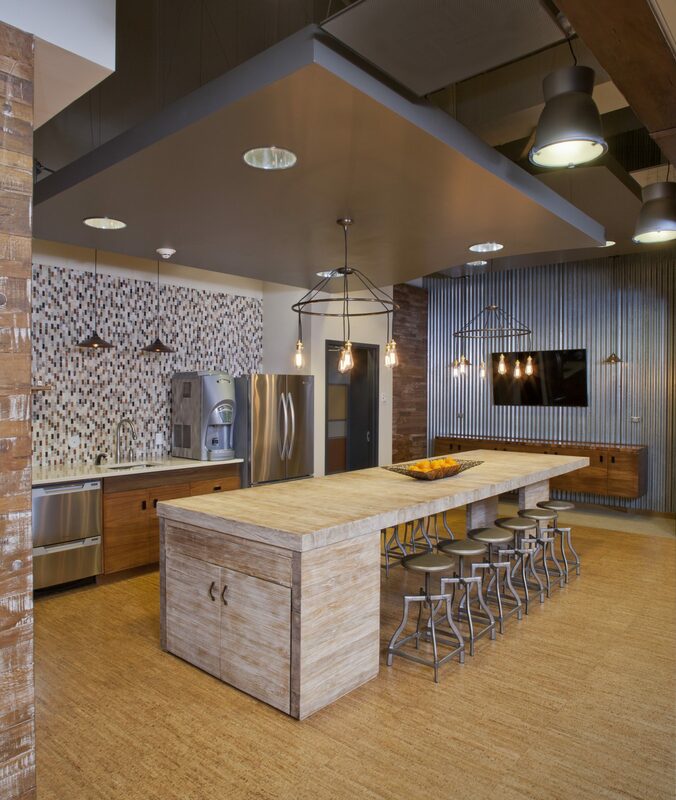 All the custom millwork in the café is constructed of reclaimed lumber including the standup height tables and wall panels. A drywall soffit that houses a divider wall was clad with lumber and iron straps to create a structural beam in the space. 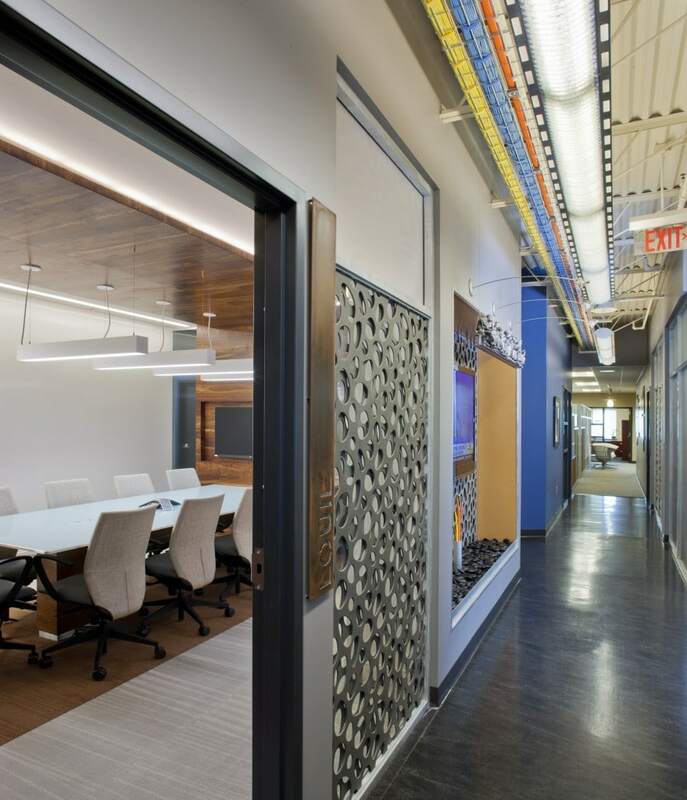 A custom graphic photo of one of the client’s many accomplishments was designed into the space to bring color and a bit of the outdoors, while a cork floor completes the feel. 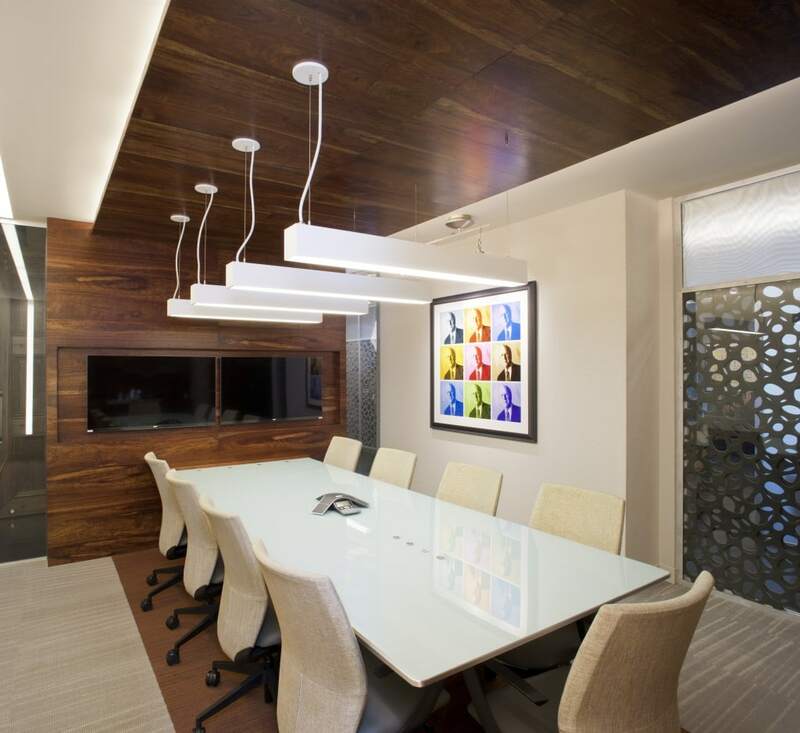 The “Louie” Conference Room was positioned at the crossroads of the office to connect everyone within the office and, with the added technology – can include those in the field. Custom artwork was created utilizing “Louie’s” formal headshot from long ago.